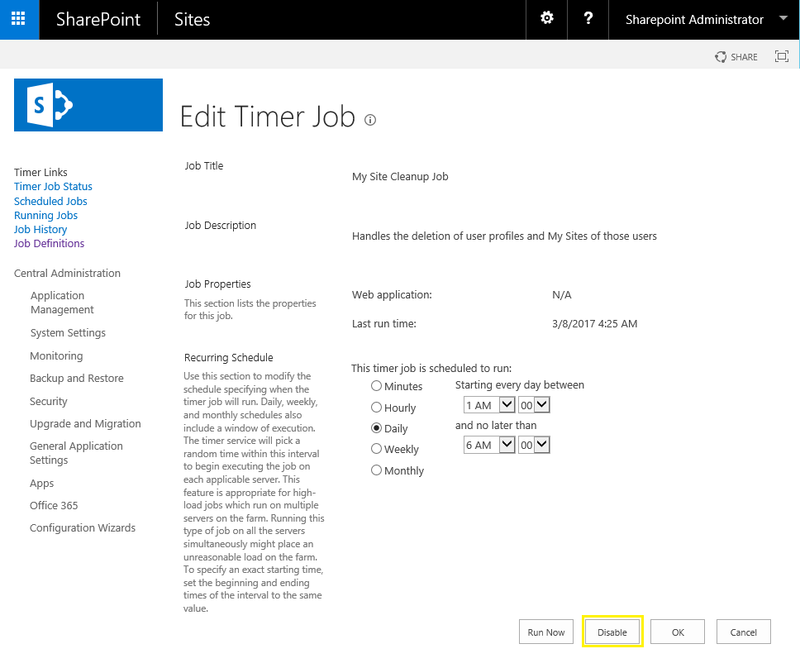 Timer jobs perform specific tasks in SharePoint through Windows Timer service, such as sending email alerts at a scheduled time. 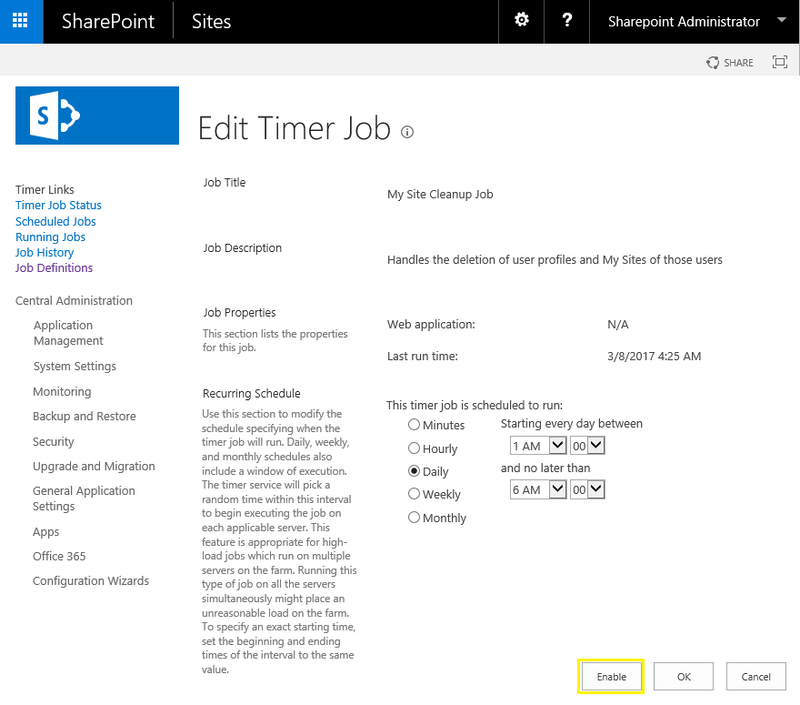 In SharePoint Central Administration site you can check the timer jobs, disable or enable specific timer jobs. How to Disable a Timer job in SharePoint? To disable a timer job, Head on to Central Administration >> Monitoring >> Timer Jobs >> Review job definitions >> pick your target from the list of timer jobs in SharePoint 2013 >> Click on "Disable" button to disable a Timer job. Click on "Enable" button to activate the timer job. This enables the disabled timer job in SharePoint 2013. This activates timer job in SharePoint 2010 with PowerShell.